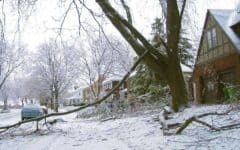 Winter can be very tough on landscapes in SE PA. Below are some causes of winter damage and steps you can take to make sure your landscape gets off to a good start this spring. DESICCATION: This can be a significant cause of damage though in this area the damage tends to be merely cosmetic. Desiccation primarily effects broadleaf evergreens and occurs when winter winds causes water to transpire from the leaf tissue faster than it can be replaced by the root system due to frozen soil. Burlap windscreens can help shield plants that are exposed to winter winds or you may want to consider applying an anti-desiccant treatment in late fall. 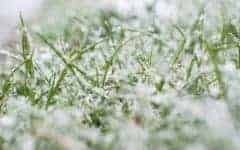 FREEZING: Extreme cold can cause “Frost heaving” where newly planted trees & shrubs and even some shallow rooted shrubs are pushed up and out of the ground exposing the root systems. This should be corrected as soon as the ground thaws by simply replanting. Freezing can also effect leaf tissue if the plant was sheared in late summer. Shearing produces new growth which may not be able to “harden off” enough to handle a sudden drop in temperature. Water within the leaf tissue freezes causing the cell walls to rupture. In extreme cases this can also cause the bark to split, especially on Cherries. 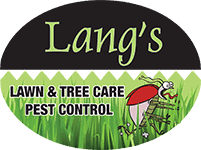 RODENT DAMAGE: Often during cold winter months mice and voles will feed on the bark of shrubs and in some cases mature trees. This has a girdling effect which will cause the effected branches to die. This is a very common problem with Junipers – especially if planted in a dense grouping. Bait boxes will help reduce the rodent population. You should also clean leaves and other debris from under any dense plantings to make the habitat less inviting. ROAD SALT: Salt can damage plants as well as render the soil inhospitable to plant growth. Make sure to install salt tolerant species in beds close to treated roadways. 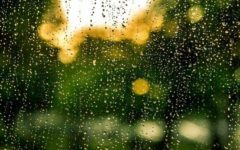 In most cases ample spring rain will help leach salt from the soil. 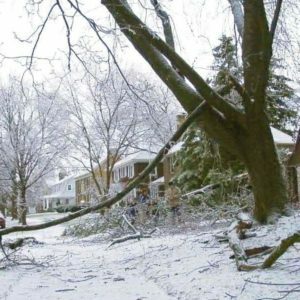 PHYSICAL DAMAGE: Heavy, wet snows, careless snow removal and snow falling from roofs are common causes of breakage. In some cases heavy snow can be removed using a broom or pool brush to reduce weight before breakage occurs. Any breakage is best addressed by making a few proper pruning cuts which will aid in the healing of wounds. 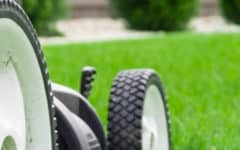 If you suspect winter damage, give us a call or shoot us an email and we’ll stop by to fully assess the landscapes condition.